​From warehouses to manufacturing facilities and kitchens to hospitals we have the right coating to fit your need. Our wide range of coatings and preparation equipment will ensure minimal down time and a successful coatings application every time. 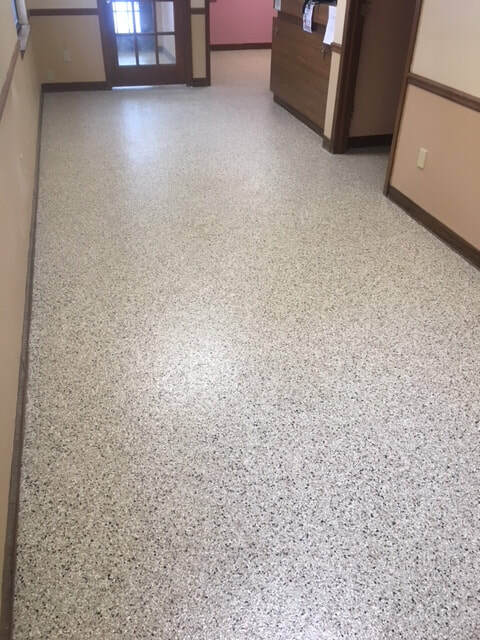 We will work with you from beginning to end to make sure you end up with the perfect coating to match the demands of your flooring needs. At Armorlike Coatings we will use the right tools to get the job done. We have an extensive line of preparation equipment ranging from small walk behind 9 inch shot blasters to Large 15 inch pull machines and multiple grinders from 20-32 inches pass widths. In all coatings applications the most important step in a successful installation is the prep. Our goal is to use this equipment to open up porosity, remove damaged or deteriorated concrete, and get ride of all chemicals or contaminants. By creating a coarse profile it allows the coating to deeply penetrate the concrete and gain maximum adhesion needed to create an eternal bond.